To celebrate Chinese New Year, I went to the Chinese-run Tentatsu and accidentally ordered a feast! 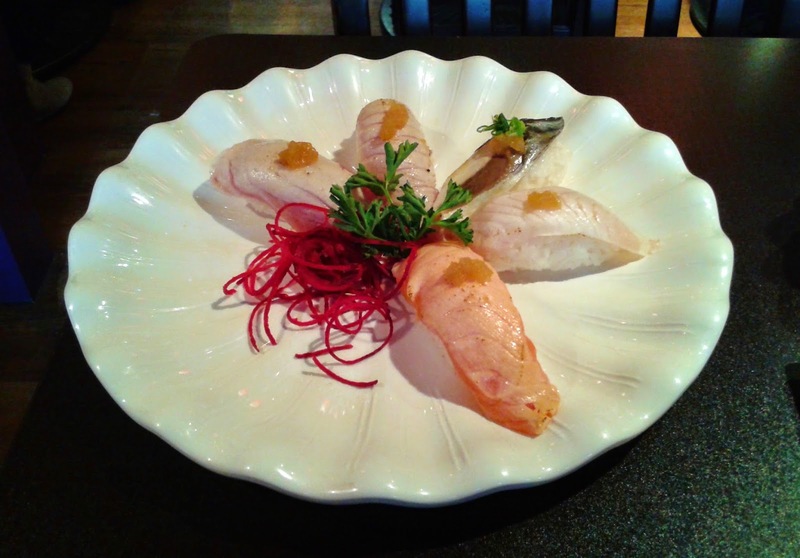 Located on Hastings, Tentatsu is popular for its decent prices and generous portions. Since the menu was so large, I tried not to take forever to order and hastily ordered the Lunch Set Combo E, which consisted of tempura and wild salmon. I didn't know that the wild salmon was going to turn into a full-sized wild salmon teriyaki and I also didn't know that the combo was going to come with miso soup, a salad, and steamed rice. Looks like reading the fine print might have been a good idea! 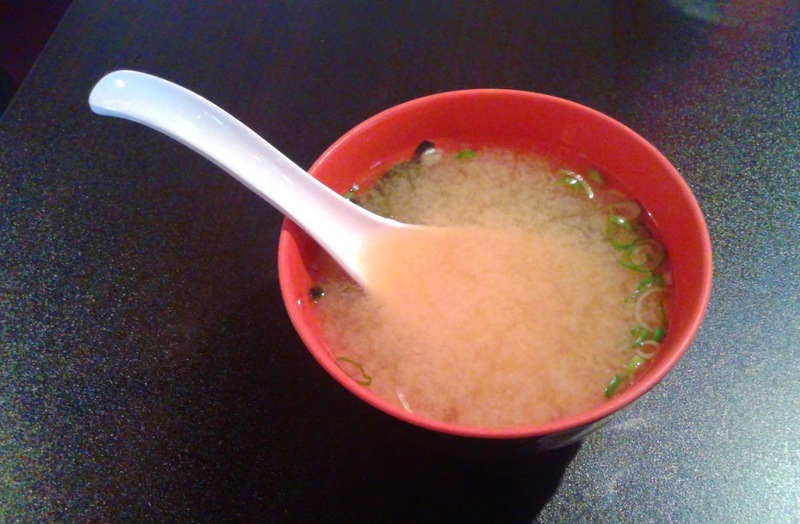 The Miso Soup came with lots of seaweed and green onion. It needed a bit more miso paste, and was served very hot. The Salad that came with the Lunch Set Combo E was dressed with a citrus vinaigrette that had a bit of a strange gingery snap to it. 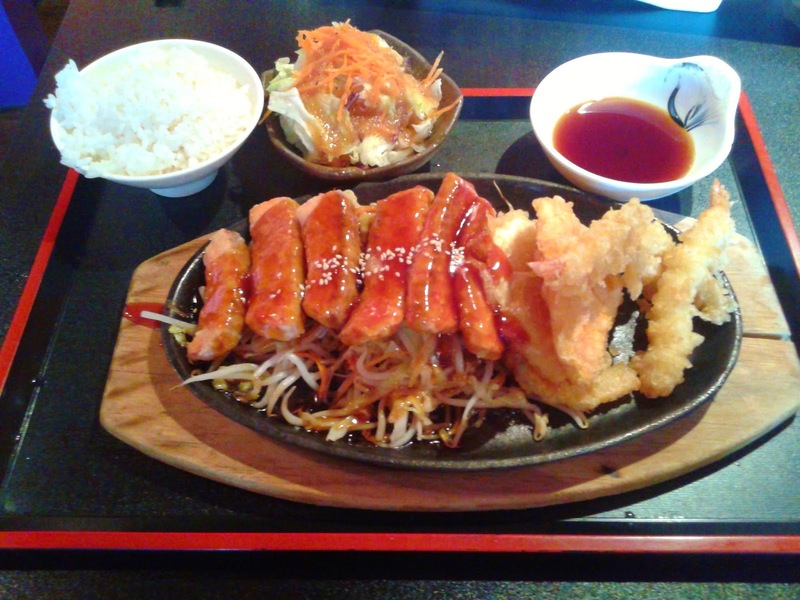 The Wild Salmon Teriyaki was the best item of the "feast", with lightly battered salmon that was full of moisture when presented to me. The amount of dressing on it was quite appropriate and went well with the bed of lettuce underneath. The Assorted Tempura, though the oil was a bit overused, was quite decent in terms of flavour preservation. The sweet potato, yam, and kabocha all had a good amount of moisture and sweetness while the 2 prawns exhibited an aromatic burst of flavour. The Princess Roll consisted of unagi tempura, tamago, cucumber, avocado, smoked salmon and tobiko. The smoked salmon on top was fresh, but the tobiko and mayonnaise on top made the salmon taste strange (it ended up being almost sour). The tamago helped bring out the flavour of the unagi tempura well. Scraping off the tobiko and mayonnaise, the rest of the flavours matched quite well together. Unfortunately, Aburi Nigiri doesn't seem to be their specialty. The pieces of fish were fresh and very generous, but the large quantities of rice underneath were too tightly packed. There also wasn't much of an Aburi (seared) flavour in most of the pieces. The Tai and Toro were the best of the bunch, with the tai being not too tough and the toro being quite juicy.